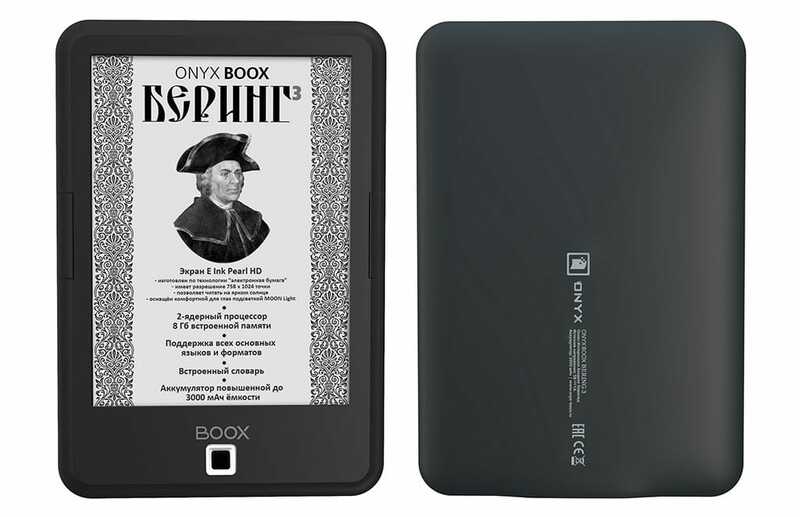 Onyx mainly comes to the attention of the west when they unveil high-end ereaders like the Kepler Pro or the Max, but in Russia they are also experimenting with budget models for the low end of the market. Take, for example, the Bering 3. This ereader runs Android 4.2 on a fast CPU, but lacks a touchscreen. The Bering 3 is an updated version of the Bering ereader. It has a 6" Pearl E-ink display with a frontlight, page turn buttons, d-pad, but no touchscreen. It runs Android 4.2 on a dual-core 1GHz CPU with 512MB RAM and 8GB of storage. Inside the shell you'll also find a microSD card slot, Wifi, a 3Ah battery, but no audio or Bluetooth. Weighing in at 182 grams, the bering 3 measures 8.7mm thin. It is available today in Russia with a retail price of 6490 rubles, or $99 USD. All in all, this isn't much of an ereader, not at that price. Sure, the Russian market does trend towards higher prices than the US market, but between the Pearl screen and lack of specs,the Bering 3 still doesn't do enough to justify its price tag. Furthermore, what is the point of putting Android in an ereader if you leave out a touchscreen?